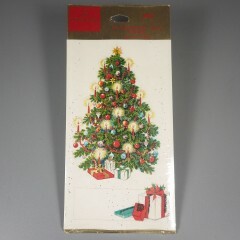 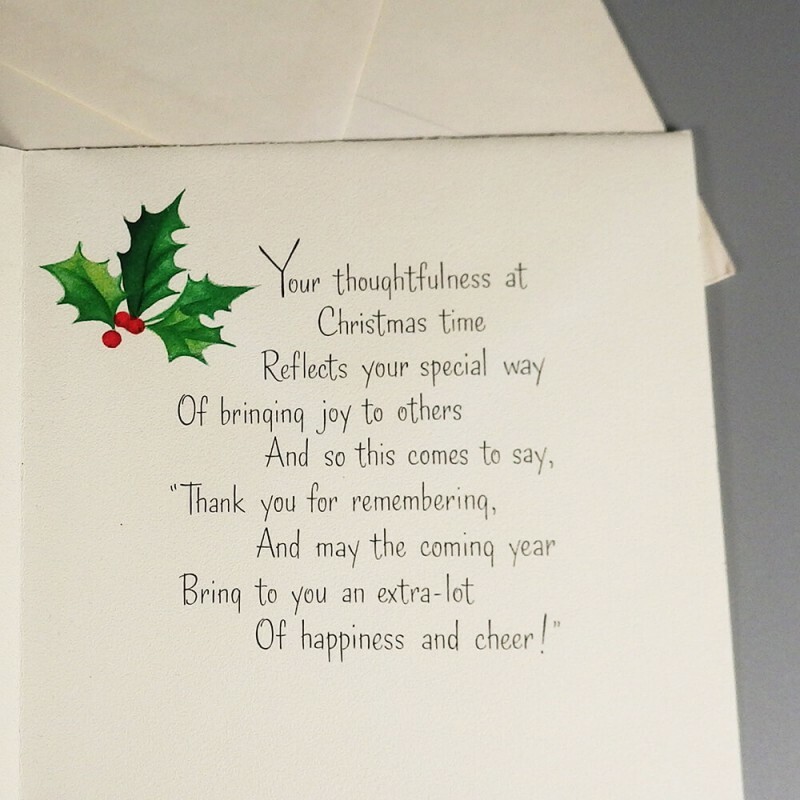 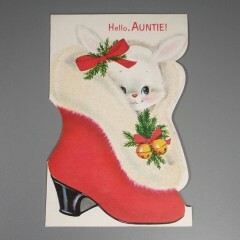 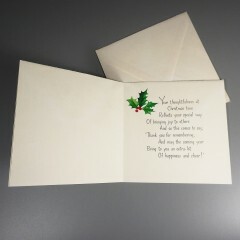 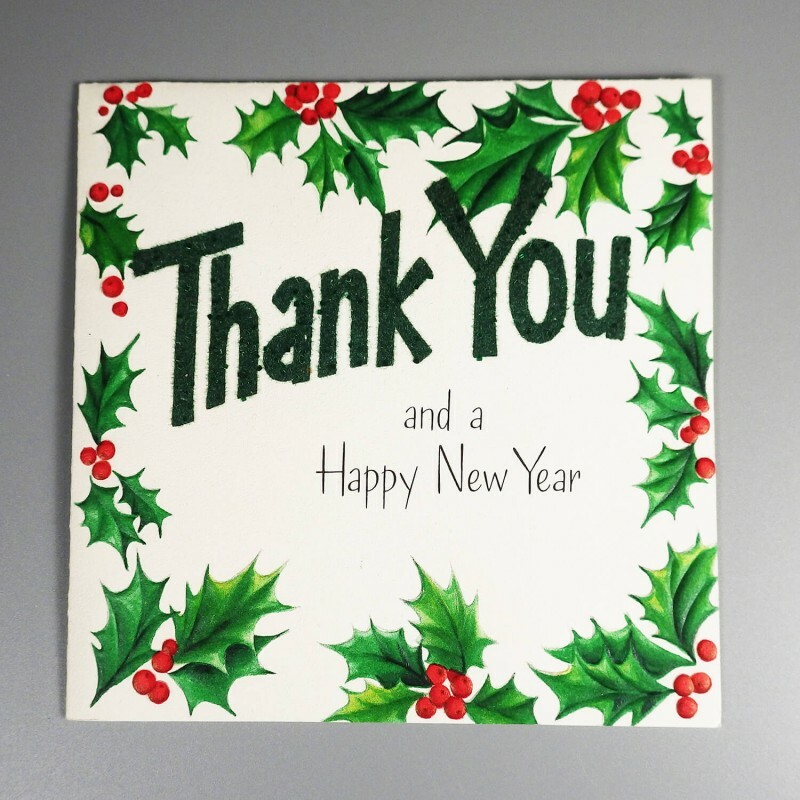 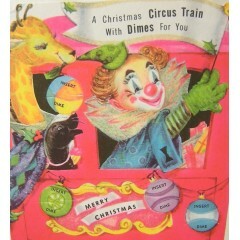 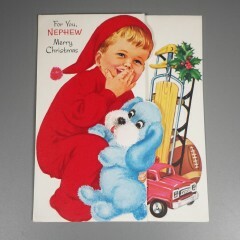 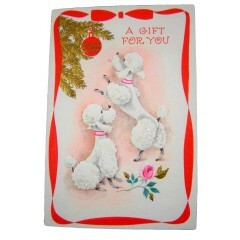 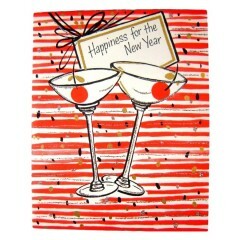 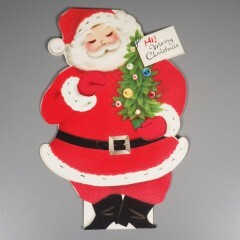 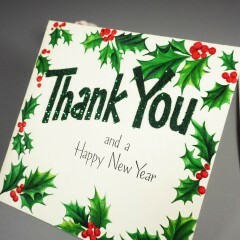 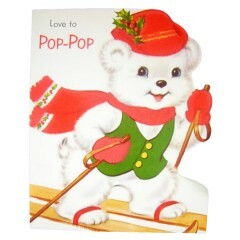 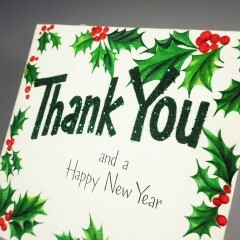 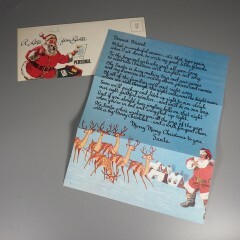 An unused vintage greeting card from Hallmark to send a Christmas "Thank You" and wishes for a Happy New Year. The card face is finished with embossed holly leaves around the outer edges and "Thank You" in green flocked letters sprinkled with glitter. 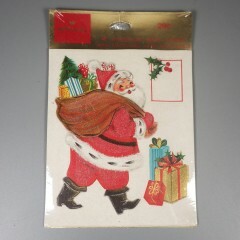 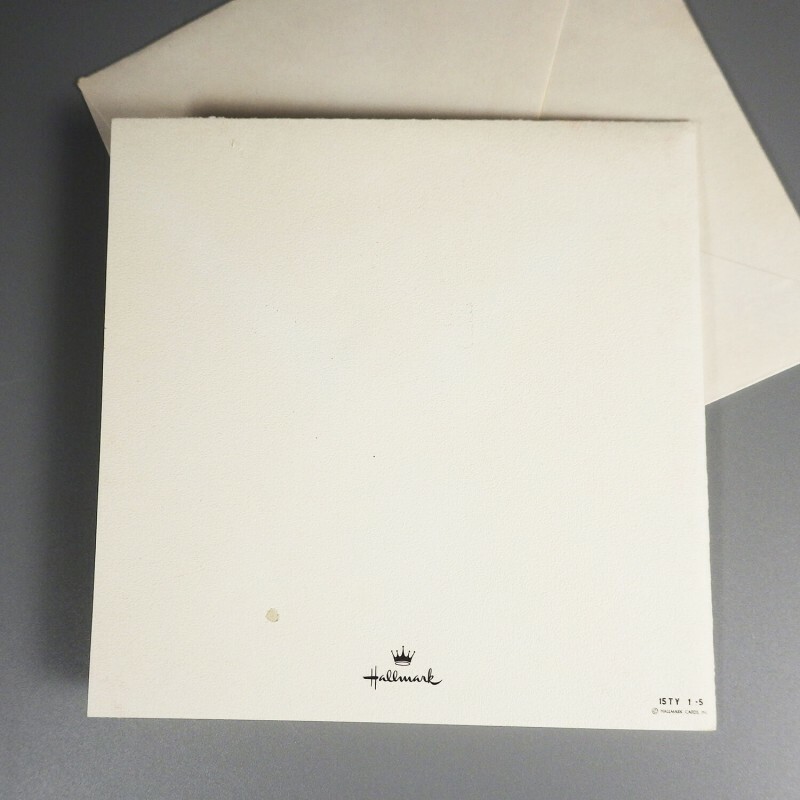 Measuring 4-3/4 inch square, this card comes with its original envelope, all in excellent condition. 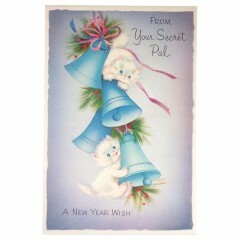 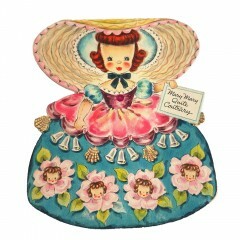 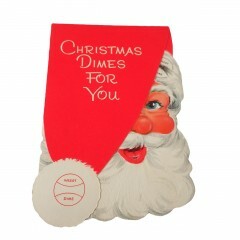 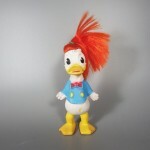 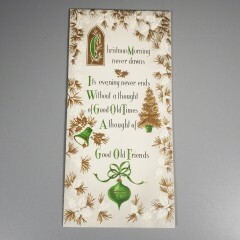 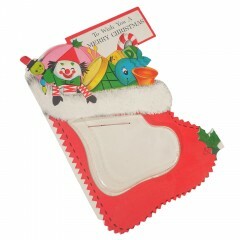 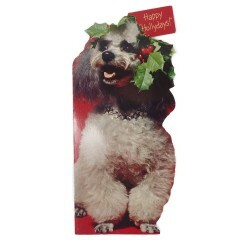 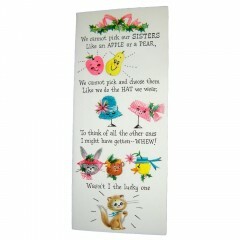 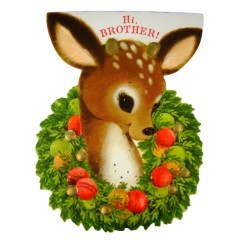 Card is marked with the Hallmark logo and numbered 15TY 1-5 © Hallmark Cards Inc.